Music is an essential part of the worship experience at GUC. 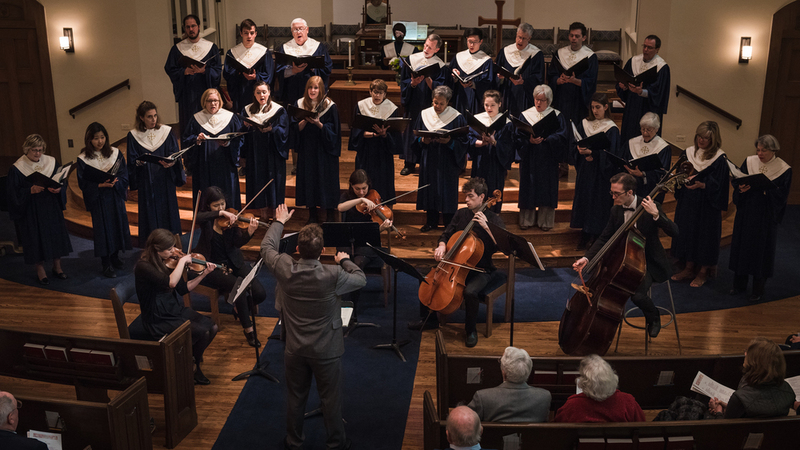 The Chancel Choir helps lead our congregational singing from September through early June. Singers of all ages and ability-levels are encouraged to join and seasonal singing is an option for those wanting to join us for Christmas or other events. Our Bell Choir usually rings in about one service every month from September through June. We use both handbells and handchimes. Haven’t played bells before? No worries! Come give it a try. Whether you sing, play an instrument, or would like to learn more about music, we would like to include you in music at the church. Please contact our Music Director, A.J. Keller if you would like to know more about our music program, or if you would like to become a participant.